Rivulet [RIV-yuh-lit] (noun): A small stream. The temperature has been above zero all week, and in many parts of the city, the ice and snow has already melted, revealing the green and brown of the grass underneath. In High Park, things are little bit different. The park is full of tall trees and in the beautiful wooded areas where they grow, the ground gets a little less direct sunlight. As a result, the snow and ice has been taking a bit more time to melt. Because of this slower spring thaw, many rivulets of water have started to appear in different areas around the park. Some of these rivulets are only around for a short period of time before drying up so many of the kids from our programs get excited to see them. The curious youngsters start off by pointing and immediately running over to a rivulet with a smile from ear to ear. But then, they slow down, they stop, and they crouch down by the side of the rivulet; carefully watching with wonder as the water gently flows. Occasionally they’ll poke the water with a stick or two, exploring how the movement changes the flow. 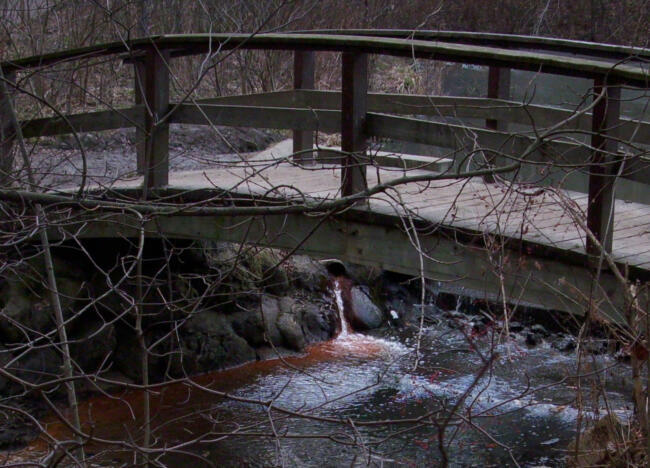 On your next High Park visit, let your inner child out and look for some rivulets of water!